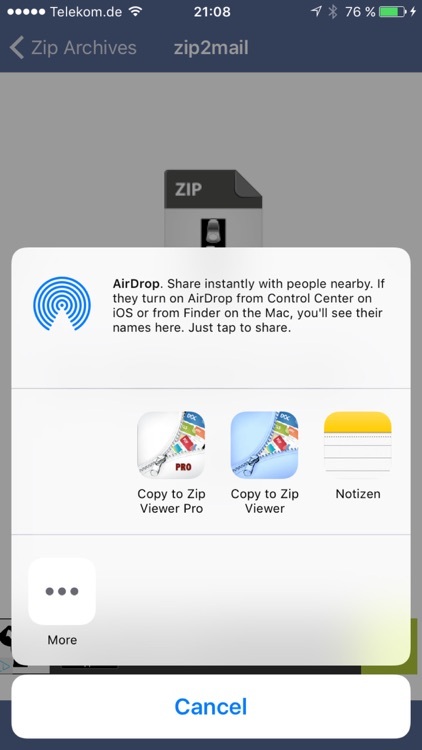 You need a hassle-free zip solution for your iPhone or iPad? 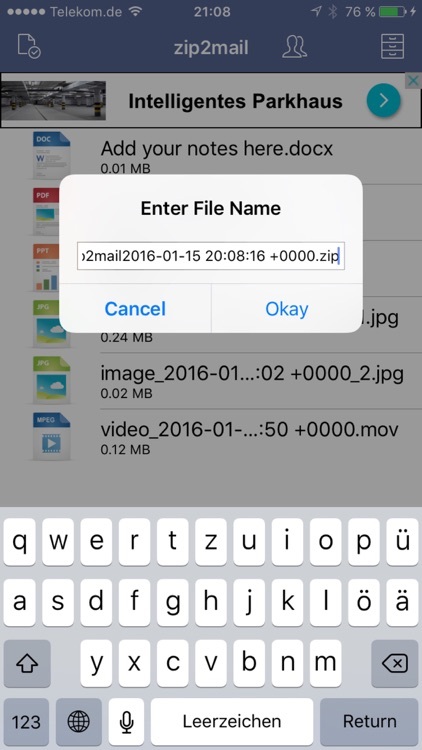 Give Easy Zip a try. 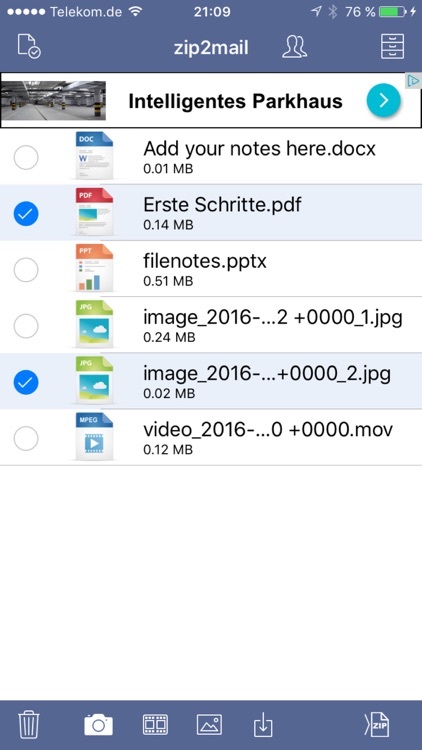 Access all your files with ease (photos library, music library, cloud drives, take photos from inside the app, push files from other apps to Easy Zip). 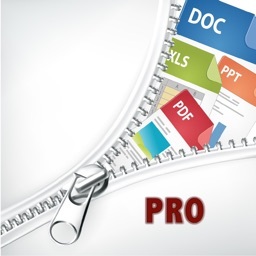 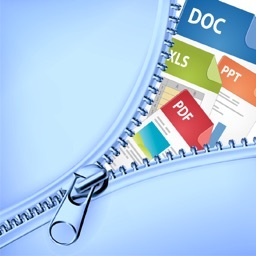 Organize your zip files and share them via email with colleagues and friends. 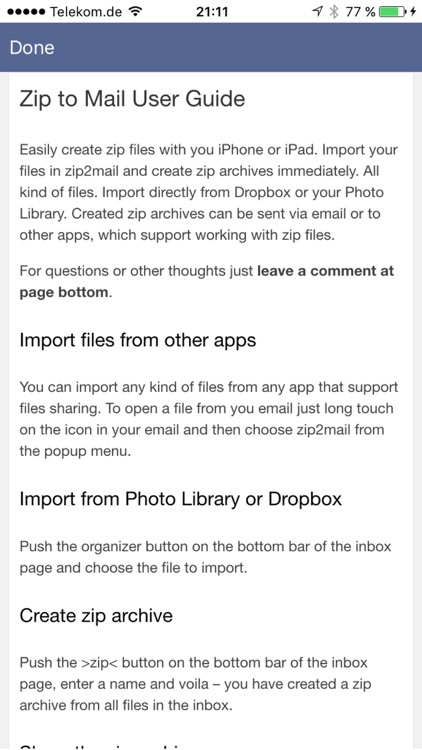 Upload to your favorite cloud service (iCloud Drive, Dropbox, box, ...). 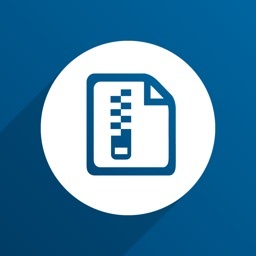 The app is designed to be easy to use and fast with focusing on creating zip archives. 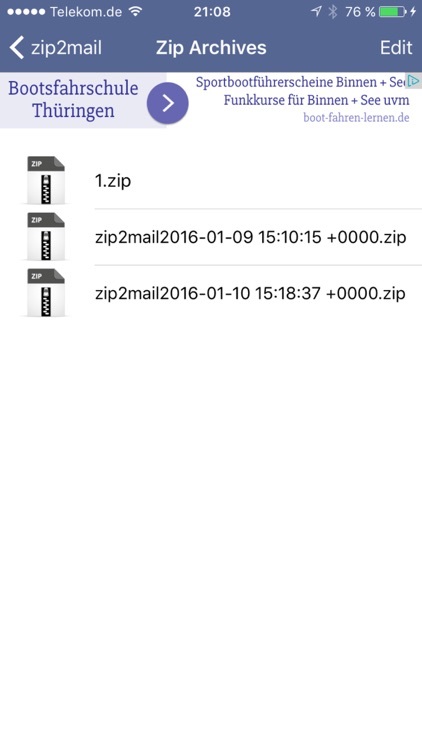 Use Zip to Mail alongside with Zip Viewer to get the full experience of viewing and creating zip archives. 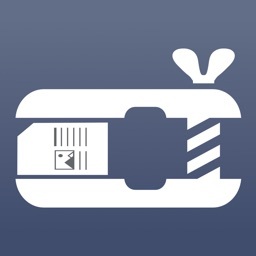 Zip Viewer is also available for free on the App Store.